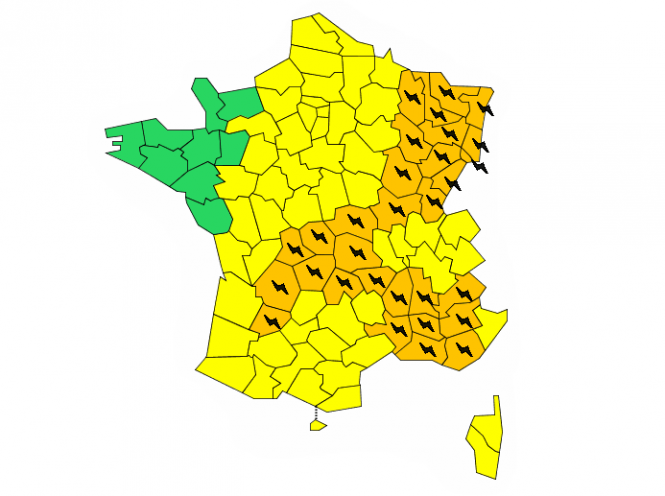 The heatwave that gripped France for more than a week is over - but now Météo-France has placed 30 departments on alert for severe storms from early in the afternoon. 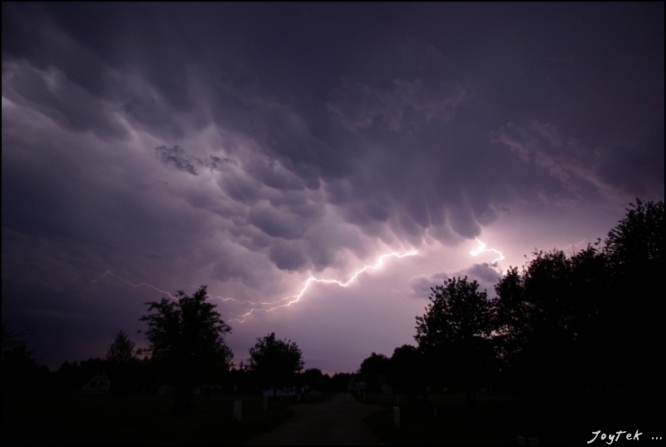 In its early Thursday bulletin, the national forecaster predicted violent storms mainly in central and eastern areas - with hail, violent winds and 150mm of rain falling in a short period of time in some areas, rising to as much as 250mm in parts of the Cévennes. The departments on orange alert are: Alpes-de-Haute-Provence, Hautes-Alpes, Côte-d'Or, Doubs, Jura, Haute-Marne, Meurthe-et-Moselle, Meuse, Moselle, Bas-Rhin, Haut-Rhin, Haute-Saône, Saône-et-Loire, Var, Vosges and Territoire-de-Belfort. In addition, the meteorological institute maintains orange vigilance for the Allier, Bouches-du-Rhône, Cantal, Corrèze, Creuse, Dordogne, Gard, Haute-Loire, Lot-et-Garonne, Puy-de-Dôme, Vaucluse, Haute-Vienne, Ardèche and Drôme. The storms are forecast to last until about 8pm, forecasters said. Temperatures nationwide are set to be noticeably lower on Thursday, with rain expected across most of the country at some point during the day - while temperatures for the days ahead are forecast to be about normal for the time of year.